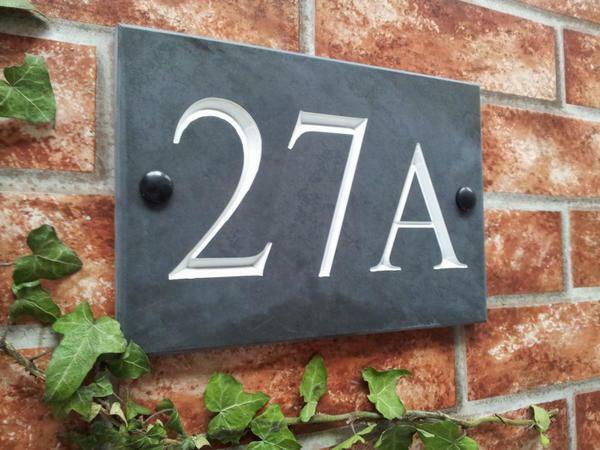 Deeply v-carved house number sign with a choice of three inlay colours and 19 fonts. The sign looks lovely and a great finishing touch to our freshly painted exterior. It was easy to put up and arrived within 3 weeks as they quoted us. The size is smaller than I thought but staff advised that the size is sufficient and most popular. Visitors have remarked that the size is fine too. Lynn Swift. Eton Wick ,Berkshire. 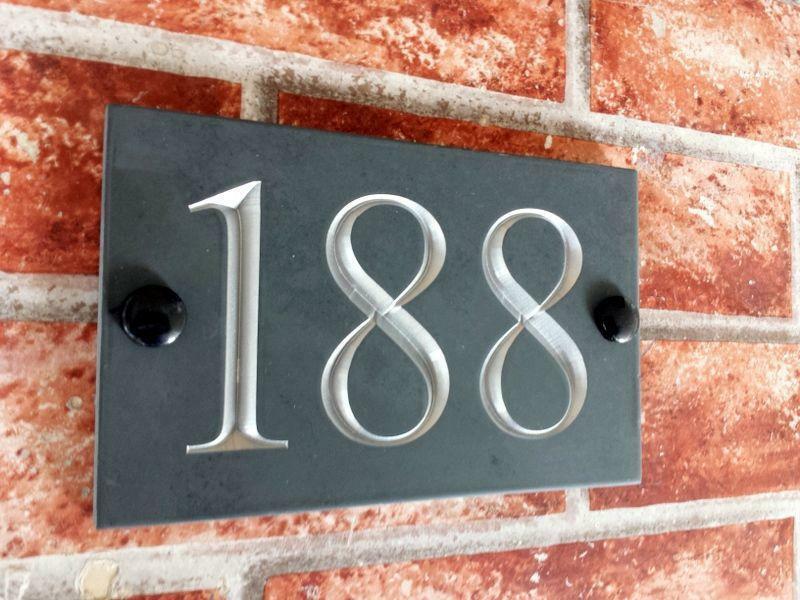 Received our fantastic slate house/number sign yesterday! Can't thank you enough for the help in choosing design and size, keeping me posted on manufacture and delivery. A first class service all round!!! Would heartily recommend! I've received the house number. Thank you so much it's perfect. Sign arrived today. Very pleased with it. Many thanks. I would like to Thank you and all the staff for my wonderful sign which arrived today. Thrilled with workmanship, communication from start to finish. I will not hesitate to recommend you to friends and family. Sign has arrived it looks fantastic and we are very pleased with it. many thanks. 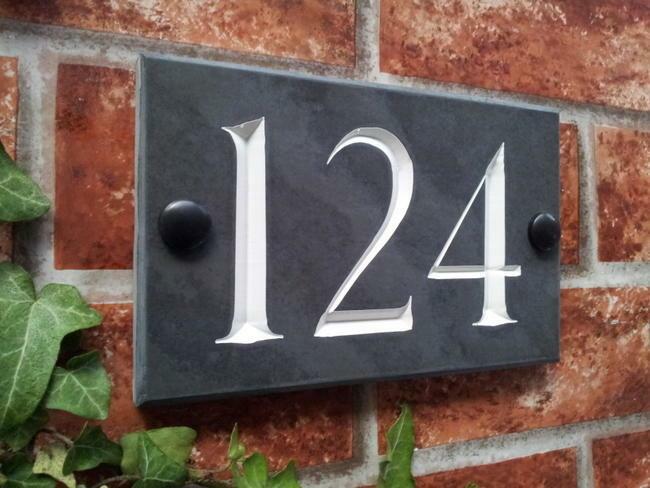 Our slate number sign is classy and elegant and will greatly enhance our new garden wall. Customer service has been excellent and we would certainly recommend this company to anyone. Looks great. Very professional service and arrived much quicker than expected. 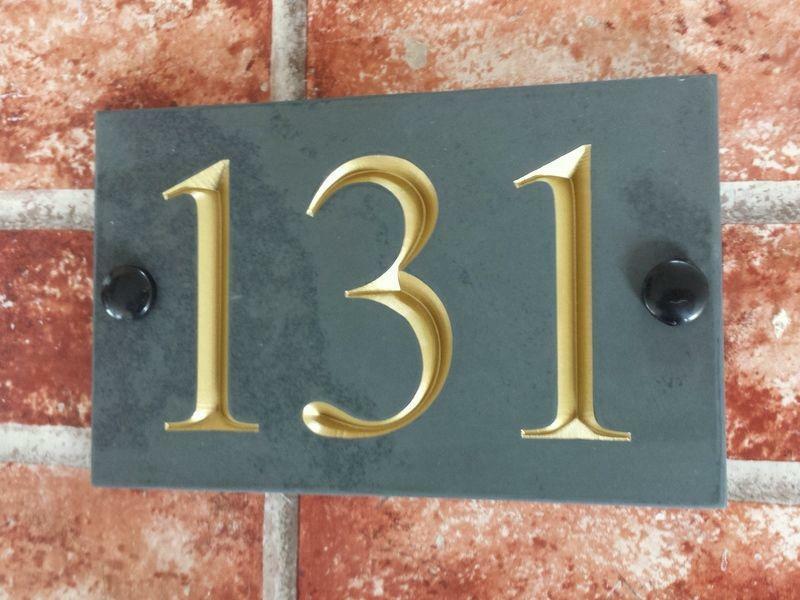 Delighted with our house number,gold inlay on slate. Very clear and great quality. Highly recommend you to others. Great customer service throughout. The sign arrived four days after approving the proof although they said it would take two weeks! Fast delivery and the sign is just what I wanted. Very impressed with the service product and value for money. 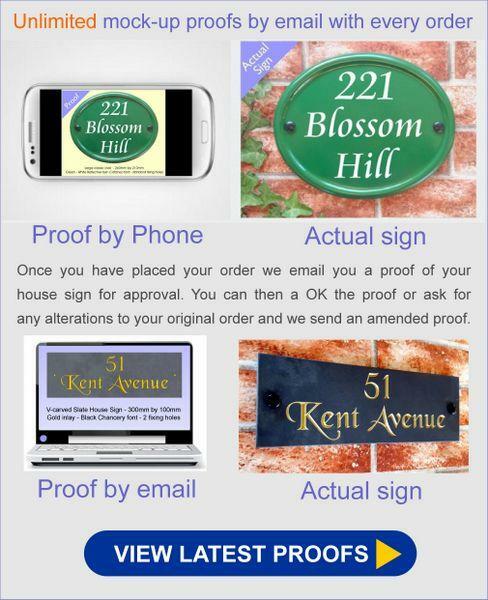 Ordering process was straight forward and I was kept informed regularly informed of the order progress. 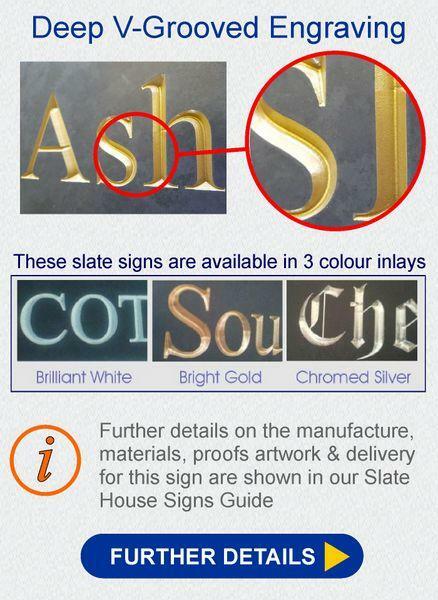 The sign is excellent quality and looks fantastic. I would definitely recommend.